Converged telecommunications giant, TelOne has released ‘satisfactory’ figures from its 2017 performance results on the back of 36 percent increase in broadband services. According to the Telone end of year results, the 36% increase in broadband services resulted in $45 million revenue compared to $33 million recorded in the same period last year. The company’s subscriber base grew from 80 745 subscribers in 2016 to 87 851 subscribers in 2017, representing an 8,8 percent increase. Overally, Telone announced a 3% increase in total revenue in the year 2017. Revenue grew from $114 million in the year 2016 to $117 million in the year 2017 despite a decline in voice revenue. Due to the dwindling revenue on voice services across the globe, TelOne’s voice traffic in the year 2017 declined by 6% translating to 9% decline in voice revenue as well. However, TelOne’s profitability at EBITDA level improved by 47% growing from $14 million to $20 million. The improved performance was achieved through cost containment and broadband growth. The operator also achieved a 42% reduction in operating losses (Earnings Before Interest and Tax) from $12 million in 2016 to $7 million in 2017. 2017 was largely a capitalization year which saw TelOne implementing a huge chunk of the $98 million National Broadband Project (NBB) which is now 98% complete. The TelOne Managing Director, Chipo Mtasa said they were happy to note that the project has started bearing fruits with revenue increases being recorded in the first year of capitalization. In addition, TelOne also realized a significant uplift in assets from $490 million in 2016 to $548 million due to network investments made as part of the NBB project. 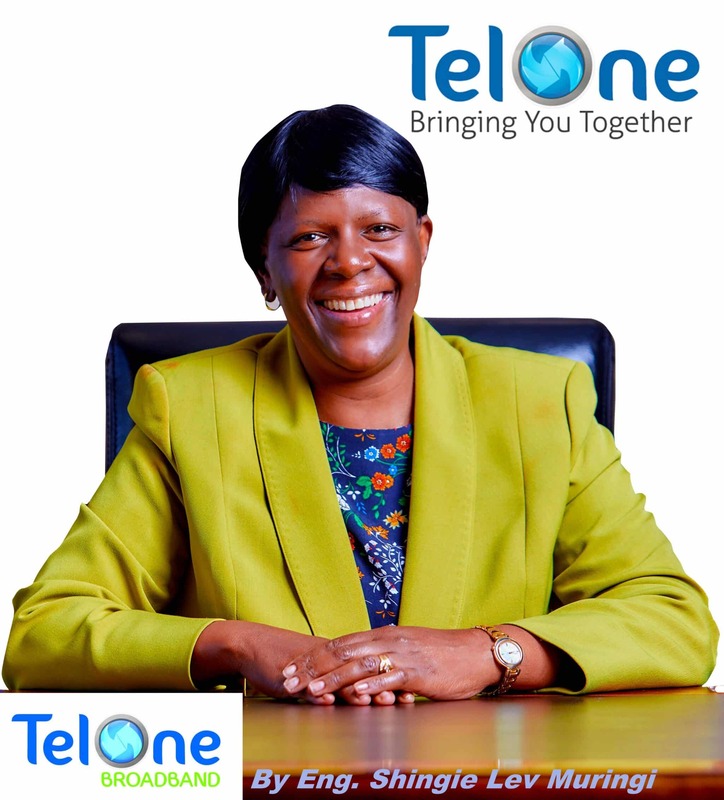 Speaking at the TelOne Annual General Meeting a few days ago, TelOne Board Chair, Mrs Juliet Machoba, said the company expects broadband revenue contribution to continue in an upward trend and reach up to 50% by 2019. “In line with worldwide trends, voice traffic is expected to continue in a downward trend as clients continue to opt for broadband internet and Over The Top Services (OTTS). Voice revenue in TelOne is expected to reduce to less than 40% in 2019 while broadband contribution to revenue is expected to reach up to 50% in the same period,” added Mrs Machoba. Despite making such massive progress, TelOne also experienced some challenges which include the legacy loans that continue to weigh down the operator’s balance sheet. The operator is expecting a conclusion of the debt restructuring process to ease the company’s profit and loss position. The other notable challenge was the unavailability of foreign currency which remained a major constraint to TelOne, with foreign obligations rising to unsustainable levels. TelOne operations, including bandwidth importation are dependent on foreign partners. TelOne continues to call for prioritization of foreign currency allocations to settle obligations with business partners and avoid service disruption to clients.